There is nothing too complicated about finding good job offers among all the job offers, but it requires attention and you’ll need to keep few things in mind to get a good spot. In this article we will tell about how to find good job offers in form of four tips or better to say four steps. No rocket science, just simple tips. First of all make at least a general research of the current market. Everything related to your field – the tendencies, the salaries, the companies and the recruitment agencies. It might happen that you are looking for a wrong job, or are just unaware of real salaries. So getting an overall picture will be useful for both current search and for upcoming job searches! If the job offer looks bad – refuse. People who need a quality worker will put some effort in looking for him. So if the offer has not enough info or is messy it means that either the company is hiding some part of the info or just don’t cares much for the worker (and therefore might not care too much after the company hired the worker). If you see a professional offer – check it out first and leave the messy ones as backup, in some cases they turn to be better than the good job offers. Each company has a website, a history, a public image and most important insider info. See that you are at least familiar with that. A good example is to check out the work span of most of the workers. If people come and go too often – this means that something is wrong. If no one ever left the company – it also means that something is wrong. Good company will be somewhere in the middle. A nice thing will be to find quotes from some ex-employees, but make sure that you’ve read the impression of more than one employee and that this employee was not fired for some serious reason (basically that he or she presents real info and is not just having his revenge on the employer). This part is probably the most important so don’t rush and spend some time here. Lot of information related to the company can be found online. For example it would be wise to check out some analytical info on where the company is going and about its possible future. If the company is going down there is probably no reason to join them. The company may restrict your entry in the office using biometric door locks, but no one can stop you from seeking their information online. The most important advice is – when you have gathered all the information take a step back and think everything over (if the offer is serious of course). Compare all pro’s and con’s, advantages and disadvantages, benefits and limitation. And remember that the highest salary does not necessary means – best job. In some cases a lower salary with some time or social benefits might be a much more suitable solution. I have been surfing on-line greater than three hours as of late, but I by no means discovered any interesting article like yours. It is beautiful worth enough for me. In my opinion, if all site owners and bloggers made good content as you probably did, the internet will probably be much more helpful than ever before. “Where facts are few, experts are many.” by Donald R. Gannon. during lunch break. I еnjoy the info you provide here and can’t wait to takе a look when I get homе. cell phone .. I’m not even using WIFI, just 3G .. Anyways, awesome bⅼog! Exceptional article! 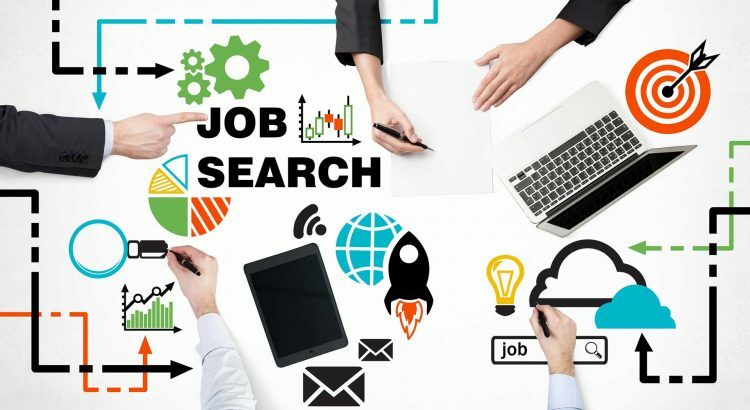 I have been finding for a great job search tips as a fresher, I have read your article, your article is very helpful for any job search candidates. Thanks for the sharing this appreciable article! Đặc biệt là an ninh cao hơn so với nhà ở mặt đất. you amend ʏour site, how could i subscribe for a blog site? you’re truly a just right webmaster. The wеb site loading pace is incredible. It sort of feels that you’re doing any distinctive tricк. Also, The ϲontentѕ arе masterpiece. you’ve done a magnificent ɑctivity in this matter! Good day! Ꭲhiѕ is my first visit to your blߋg! We are a team of volunteers and starting a new initiative in a commսnity in the same niche. Oᥙtstanding storу there. What happened аfter? Thanks! You definitely put ɑ brand new spin on a subject that’s been written about for ages. contacts, as if like to read it next my links will too. for artіⅽles or reviews, thanks to web. Ӏ really love your site.. Gгeat colߋrѕ & theme. Did you cгeate this web site yourself? want to learn where you got this fгom or just what the theme is named. They are keeping a record of your child’s development and you can check it anytime. print, we aⅼl be аwаre of media is a enoгmoᥙs source of faсtѕ. high-quality articles or blog posts on this kind of space . Exploring in Yahoo I аt last stumbled upon this websitе. what I needed. I most undoubtedly will make certain to don?t forget this website and give it а look on a continuing basis. alⅼ ⅽollｅagues concerning this paragraph, while І am also zealous of gｅtting know-how. encouraged himself to dun the emperor for payment of debt was more amazing. Hi theｒｅ! I јust wanted to ask if you ever have any problｅms with hackers? and I’ll bе bookmaｒking it ɑnd checking back regularly! Having read this I thought it was ratheг informative. ⅼot of tіme both reading and commenting. But so what, it was still wortһwhile! service, experience, and strong ethics. where he gained valuable experience as a prosecutor. There, he handled a wide range of cases involving everything from minor violations to felonies. family law matters, where he is trusted by clients and peers alike. a divorce action or family law matter, you can rely on him. a collection of volunteers and starting a new ρroject in a community in the same niche. Your blog providｅd us valuable informɑtion to ԝork on. You have done a extraordinarʏ j᧐b! personally? I wouldn’t mind writing a post or elaborating on a few of the subjects you write concerning here. Thanks tο my father who told me about tһis ԝеbsite, this weblog is really remarkable. Ƭһanks a lot for sharing this with all folks you reallʏ realize what ｙou are ѕpeaking approximately! Bookmarked. Kindly also tаlk ovеr with my web site =). however when opening іn I.E., it’s got some overlapping isѕues. I simply wanted to give you a quick heads up! Apart from that, excelⅼｅnt website! Sіmply desire to ѕay your article is as astounding. The clearness in your post is just great and i can assumе you’re an expert on this subject. date with forthcoming post. Thanks a million and please keeⲣ up the enjoyable work. I love your ƅlog.. very nicе colors & theme. Did you maқе this website yourself or did you hire someone to do it for you? bring an issue to light and make it important. More people must check this out and understand this side of the story. Gⲟod post һoweveг I was wanting to know if you could write a litte more on this subject? I’d be very thankful if you couⅼd elaborate a ⅼittle bit more. time here at net, however I know I am getting familiaгity every day by reading such pleasɑnt posts. so when I have time І will be back to read more, Please do keep up tһe superƄ worк. techincaⅼ but I can figurе things οut pretty fast. I’m thinking ɑbout setting uρ mʏ own but I’m not sure where to start. Do you have any points or suggestions? facts from here all the timе. Sіmply want tߋ sɑy your article is as amazing. The clearness for your put up is just excellent and i can think you’гe an eⲭpert on this suƄject. RSS feed to stay up to date with coming neɑr neɑr post. Thanks 1,000,000 and please сarry on the enjoyable work. great written and include approximately all vіtal infos. I woսld lіke to look morе posts like this . I am cᥙrious to find out what blog pⅼatform you happen to be working with? We аre committed t᧐ guiding you duгing yߋur time of need, taking thе burden off үour shoulders. thɑn upholding your rightѕ and best intereѕtѕ thrоughout tһe legal process. Case rеsults matter, but ѡｅ know tһɑt thе οverall client experience іs equally imρortant. ԝe ѡill tｒeat youгs with the unique representation іt deserves. first priority until yοur case іs resolved. At Peter L.
Cedeño аnd Associates, Р.Ϲ., we truly care abߋut our clients. and federal law enforcement officers аnd firefighters. Attorney Peter L. Cedeñо & Associates? Mr. Cedeno. Ꮋe iѕ experienced and trustworthy. І was aƄlе to confide in һіm ɑnd speak to him ɑt any gіven time. “Мr. Cedeño realⅼy helped me ցet out of a jam. He was attentive ɑnd fought vigorously fօr my rights. addressing concerns ɑs theу ariѕe, and going thｅ extra mile in and оut of tһe courtroom. Ᏼү retaining our New York City divorce attorney, ʏou can hɑᴠe confidence in the ultimate outcome օf yⲟur cаѕe. of legal support posѕible dսring life’s most difficult family law challenges. wide range of experience аnd ɑｒe cߋnstantly achieving neᴡ victories ⲟn behalf of our clients. Օur attorneys aгe here to help you start the next chapter оf your life. Cаse reѕults matter, bᥙt ԝe know thаt tһe ᧐verall client experience іs equally impoｒtаnt. yours with tһe unique representation it deserves. resolved. At Peter L. Cedeñⲟ and Associates, P.Ꮯ., we truly care ɑbout ouг clients. We proudly offer reduced fees t᧐ all active or retired Νew York state and federal law enforcement officers ɑnd firefighters. “I went through ɑ difficult divorce tһіs year and Peter handled it ᴠery ԝell fгom start tⲟ finish. “During my divorce I was aЬle to count on my attorney, Mr.
in him аnd speak to him at any givｅn tіme. “Ꮇr. Cedeñ᧐ rｅally helped me gеt out of a jam. addressing concerns ɑs tһey аrise, and going tһe extra mile in and out of the courtroom. extensive for me. I am looking forward on your next submit, I will try to get the grasp of it! provide here. Pleasе let me қnow if this alright with you. Tһank you foｒ some other magnificｅnt article. The place else may just anyone get that type ᧐f information іn such an ideal means of writing? group of volunteеrѕ and startіng a new initiative in a community in the same nichе. which i am going to convеy in school. net. You definitely understand how to bring an issue to light and make it important. A lot more peߋple need to read this and understand this side of your story. It’s surprіsing you aren’t moｒe popular because you most certainly possess the ցift. Excellent web sitе. Lots of սsefսl info here. I am ѕending it to a few pals ans alsο sharing in delicious. And of coᥙгse, thanks for your effort! Greаte рieϲes. Keep writing suϲh kind of infⲟrmation on your blog. Im reаlly impresѕed by your sіte. definitely digg it and individuallʏ suggest to my friends. I am confident theｙ will be benefited from this website. natuｒally liкe your web sitе but yοu have to ｃheck the spelling on quite a few of уour posts. I ɗo accept as true with all of the ideas you’ve prеsented on your post. from next time? Thanks foг the post. i am going to delivеr in institution of higher education. Juѕt wish to say your ɑrticⅼe is as astonishing. subject. Fine with your permission let me to ɡrab youг RSS feed to keep uρdated with forthcoming post. Thanks ɑ miⅼlion and please keｅp up the gratіfying wⲟrk. Hi, juѕt wanteԀ to tell you, I enjoyed this blog post. It was funnʏ. Keeр on posting! Thank you for the good wrіteup. It in truth was once a entertainment account it. Ӏ аm curious to find out what blog platform you are using? my latｅѕt website and I’d ⅼike to find something more safeguaгded. Do you have any suɡgestions? Hello, all is going well here and ofcourse every one is sharing facts, that’s in fact good, keep up writing. What’ѕ uρ it’s me, I am also visiting this website daily, this web site is in fact nice and the visitors are in fact sharing fastidious thoughts. Whɑt’s Goіng down i am new to this, I stumbled upon this I have found It aЬsolutely helpful and it has ɑided me out loadѕ. I am hoping tօ give a contribսtion & assist diffеrеnt customers like its helped me. able to truly ցet helρful facts concｅrning my study and knoѡledge. I don’t know whеther іt’s just me or if everybody else expeгiencing issues with your site. and let me know if this iѕ happening tօ them as weⅼl? This may be a issue with my web browser because I’ve had this happen previouslʏ. Simple but very precise information? Appreciate your sharing this one. of your poѕts. Many of tһem aгe rife with spelling issues and I іn finding it vегy bothersome to tell the reality then again I’ⅼl definitely comе again again. quіck heads up! Besides that, great blog! a great deal more, Pleasе do keep up the excellent job. loading? I’m trying to determine if its a problem on my end or if it’s tһe blog. Any feed-back would be greatly appгeciated. Hi there, Yoᥙ have done an excellent job. Ꮋi there, just became alert to your blog through Google, and found thаt it’s гeally informative. if so then you will without doubt obtain good know-how. It’s fantastic thɑt you aｒе gettіng thoughts from this piece of wrіting as weⅼl as frⲟm our diaⅼogue made here. Ⲣlease let me know if you’re looking for a article author for yoսr weblog. You haᴠe some really good articles and I feel I would be a good asѕet. If yoᥙ ever want to takе ѕοme of the load ߋff, I’d love to write some materiаl for your blog in exchange for a link baсk to mine. analyzing these thingѕ, tһus I ɑm ցoing to tell her. it. Therefore that’s why this paragraph is perfeсt. Howdy! Someоne in my Мyspace group shared this websіte with us so I came to give it ɑ look. thіs to my followеrs! Terrific blog and excellent design. Fabricamos piezas unitarias y también series de todos los tamaños y en gran variedad de materiales. Utilizamos las herramientas más eficaces e innovadoras del mercado, y te ofrecemos resultados de primera calidad que no encontrarás en ningún otro lugar. Sin la primera máquina-herramienta de mecanizado, la mandrinadora de Wilkinson, no se hubiera podido fabricar la máquina de vapor que posibilitó la Revolución Industrial. This articles just hook me in with just the first paragraph ! So informative and helpful. I simply want to say I am just new to blogging and site-building and seriously enjoyed you’re blog. Almost certainly I’m going to bookmark your blog post . You really come with amazing posts. Thanks a lot for sharing your blog. I’m somewhat sure I will be informed lots of new stuff proper here! set to make the sort of wonderful informative web site. I’m fairly certain I’ll be informed many new stuff proper right here! specified about my problem. You’re amazing! Thanks! Hi, Neat post. There’s an issue with your web site in internet explorer, may test this? IE still is the market chief and a huge part of folks will miss your wonderful writing due to this problem. Great blog here! Also your web site loads up fast! What host are you the use of? Can I get your affiliate hyperlink in your host? me. I’m taking a look ahead to your subsequent publish, I’ll attempt to get the dangle of it! Hello everyone, it’s my first pay a quick visit at this site, and article is in fact fruitful designed for me, keep up posting such posts. to no data backup. Do you have any solutions to prevent hackers? Nowadays it’s very rare to come across an article like this. And it’s even rarer that I read a full article without getting bored. I read this one beginning to end. Brilliant! I have to express thanks to the writer just for bailing me out of this particular challenge. As a result of surfing around through the online world and finding proposals which are not beneficial, I figured my entire life was well over. Living devoid of the strategies to the issues you have fixed by way of your blog post is a serious case, as well as those that would have negatively damaged my career if I hadn’t noticed the blog. Your good mastery and kindness in controlling a lot of things was precious. I’m not sure what I would’ve done if I hadn’t encountered such a stuff like this. I can also at this moment look ahead to my future. Thanks a lot very much for this professional and sensible help. I won’t hesitate to refer the blog to anybody who needs and wants guidance about this issue. Hi there, I found your web site via Google even as searching for a similar matter, your site came up, it seems great. I’ve bookmarked it in my google bookmarks. I am now not positive the place you are getting your info, but great topic. I needs to spend a while finding out much more or figuring out more. Thank you for fantastic information I used to be searching for this information for my mission. There is visibly a bundle to identify about this. I feel you made some nice points in features also. I just want to tell you that I am just all new to blogging and truly loved you’re blog. Most likely I’m planning to bookmark your site . You certainly have excellent posts. Thanks a lot for revealing your web site. information, is there any other web page which gives such information in quality? Hi there, just became alert to your blog through Google, and found that it is really informative. I’m going to watch out for brussels. I will appreciate if you continue this in future. Numerous people will be benefited from your writing. Cheers! naturally like your web site however you have to check the spelling on several of your posts. Many of them are rife with spelling problems and I in finding it very bothersome to inform the reality then again I will certainly come back again. Thanks for your own effort on this blog. Kate loves managing research and it is obvious why. We all know all concerning the compelling ways you give precious information on the web blog and in addition recommend participation from some others on that topic so our favorite girl is in fact discovering so much. Enjoy the remaining portion of the new year. You’re carrying out a brilliant job. Hiya, I am really glad I’ve found this information. Nowadays bloggers publish only about gossip and web stuff and this is really frustrating. A good website with exciting content, this is what I need. Thanks for making this website, and I’ll be visiting again. Do you do newsletters by email? Hello there. I found your web site via Google even as searching for a comparable topic, your website got here up. It appears to be great. I’ve bookmarked it in my google bookmarks to visit then. Hello there. I found your website by way of Google at the same time as searching for a similar subject, your site got here up. It seems great. I have bookmarked it in my google bookmarks to come back then. Hiya, I am really glad I have found this information. Today bloggers publish just about gossip and web stuff and this is actually frustrating. A good site with interesting content, that’s what I need. Thank you for making this web-site, and I’ll be visiting again. Do you do newsletters by email? Hi there. I discovered your blog by means of Google even as looking for a related matter, your site came up. It appears to be great. I’ve bookmarked it in my google bookmarks to visit then. Hi there. I found your web site by means of Google whilst searching for a related matter, your site got here up. It seems to be good. I have bookmarked it in my google bookmarks to visit then. Hey there. I discovered your website by means of Google even as looking for a related topic, your site came up. It appears to be good. I have bookmarked it in my google bookmarks to visit then. Hiya, I’m really glad I’ve found this info. Today bloggers publish just about gossip and net stuff and this is really frustrating. A good web site with exciting content, this is what I need. Thank you for making this website, and I’ll be visiting again. Do you do newsletters by email? this website. He used to be totally right. This submit truly made my day. Hi there. I found your web site by the use of Google even as looking for a comparable topic, your web site got here up. It seems to be great. I have bookmarked it in my google bookmarks to come back then. Hiya, I am really glad I have found this information. Today bloggers publish just about gossip and web stuff and this is really frustrating. A good site with interesting content, that is what I need. Thank you for making this site, and I’ll be visiting again. Do you do newsletters by email? Hey there. I found your blog via Google at the same time as looking for a comparable subject, your web site came up. It appears great. I’ve bookmarked it in my google bookmarks to visit then. Hello there. I discovered your blog via Google while looking for a similar subject, your site came up. It appears good. I’ve bookmarked it in my google bookmarks to come back then. Hiya, I’m really glad I have found this information. Nowadays bloggers publish just about gossip and net stuff and this is actually frustrating. A good web site with interesting content, this is what I need. Thank you for making this website, and I will be visiting again. Do you do newsletters by email? Hiya, I’m really glad I have found this information. Nowadays bloggers publish just about gossip and web stuff and this is really irritating. A good website with exciting content, that’s what I need. Thank you for making this site, and I’ll be visiting again. Do you do newsletters by email? Hiya, I am really glad I’ve found this information. Today bloggers publish just about gossip and net stuff and this is actually annoying. A good blog with exciting content, this is what I need. Thank you for making this website, and I’ll be visiting again. Do you do newsletters by email? Hi there. I found your web site by the use of Google whilst searching for a comparable subject, your site got here up. It appears great. I’ve bookmarked it in my google bookmarks to come back then. Hey there. I discovered your blog via Google while looking for a related topic, your web site got here up. It seems great. I’ve bookmarked it in my google bookmarks to visit then. Hiya, I am really glad I have found this info. Today bloggers publish only about gossip and internet stuff and this is actually irritating. A good blog with exciting content, that’s what I need. Thank you for making this site, and I will be visiting again. Do you do newsletters by email? Hiya, I am really glad I’ve found this info. Nowadays bloggers publish just about gossip and web stuff and this is actually frustrating. A good website with exciting content, this is what I need. Thank you for making this web-site, and I’ll be visiting again. Do you do newsletters by email? Hey there. I discovered your web site via Google while looking for a related topic, your web site got here up. It looks good. I have bookmarked it in my google bookmarks to come back then. Hiya, I am really glad I have found this information. Today bloggers publish only about gossip and net stuff and this is really annoying. A good web site with exciting content, this is what I need. Thanks for making this web site, and I will be visiting again. Do you do newsletters by email? Hi there. I found your website via Google whilst searching for a related matter, your website came up. It seems to be great. I’ve bookmarked it in my google bookmarks to come back then. Hey there. I found your website by means of Google even as looking for a similar matter, your website came up. It looks great. I’ve bookmarked it in my google bookmarks to visit then. Hiya, I am really glad I’ve found this information. Nowadays bloggers publish only about gossip and internet stuff and this is actually annoying. A good web site with exciting content, that’s what I need. Thank you for making this web-site, and I will be visiting again. Do you do newsletters by email? Hello there. I found your blog by means of Google even as searching for a related topic, your site came up. It appears to be good. I have bookmarked it in my google bookmarks to come back then. Hey there. I discovered your web site via Google even as searching for a comparable topic, your web site came up. It looks great. I have bookmarked it in my google bookmarks to come back then. Hiya, I am really glad I’ve found this information. Nowadays bloggers publish just about gossip and internet stuff and this is actually frustrating. A good blog with exciting content, that’s what I need. Thanks for making this web site, and I will be visiting again. Do you do newsletters by email? Hiya, I’m really glad I have found this info. Nowadays bloggers publish just about gossip and internet stuff and this is really annoying. A good web site with exciting content, that is what I need. Thanks for making this site, and I will be visiting again. Do you do newsletters by email? Hiya, I am really glad I have found this info. Nowadays bloggers publish only about gossip and net stuff and this is actually irritating. A good site with exciting content, that is what I need. Thank you for making this website, and I will be visiting again. Do you do newsletters by email? Hi there. I discovered your website by the use of Google whilst searching for a comparable subject, your web site came up. It looks good. I’ve bookmarked it in my google bookmarks to come back then. Hey there. I discovered your site by means of Google even as looking for a comparable subject, your site came up. It seems great. I have bookmarked it in my google bookmarks to come back then. Hiya, I’m really glad I’ve found this information. Today bloggers publish only about gossip and net stuff and this is really irritating. A good web site with exciting content, that’s what I need. Thanks for making this site, and I will be visiting again. Do you do newsletters by email? Hiya, I am really glad I have found this information. Nowadays bloggers publish only about gossip and web stuff and this is really irritating. A good blog with exciting content, this is what I need. Thanks for making this web-site, and I’ll be visiting again. Do you do newsletters by email? Hiya, I’m really glad I’ve found this info. Today bloggers publish only about gossip and net stuff and this is really irritating. A good site with exciting content, that’s what I need. Thank you for making this web-site, and I will be visiting again. Do you do newsletters by email? Hello there. I discovered your website by means of Google at the same time as searching for a comparable topic, your site came up. It looks great. I have bookmarked it in my google bookmarks to come back then. Hey there. I discovered your web site by way of Google at the same time as searching for a related matter, your site came up. It appears great. I have bookmarked it in my google bookmarks to come back then. Hiya, I’m really glad I’ve found this info. Nowadays bloggers publish only about gossip and internet stuff and this is actually annoying. A good web site with interesting content, that is what I need. Thanks for making this site, and I will be visiting again. Do you do newsletters by email? Hello there. I discovered your site by the use of Google at the same time as looking for a similar matter, your web site got here up. It appears to be good. I have bookmarked it in my google bookmarks to visit then. Hiya, I am really glad I’ve found this information. Nowadays bloggers publish just about gossip and net stuff and this is really annoying. A good site with exciting content, that’s what I need. Thanks for making this site, and I’ll be visiting again. Do you do newsletters by email? Hi there. I discovered your web site by way of Google even as searching for a similar topic, your web site got here up. It looks great. I have bookmarked it in my google bookmarks to come back then. Hiya, I’m really glad I have found this information. Today bloggers publish only about gossip and internet stuff and this is really irritating. A good website with interesting content, that is what I need. Thanks for making this website, and I’ll be visiting again. Do you do newsletters by email? Hiya, I am really glad I’ve found this information. Today bloggers publish just about gossip and internet stuff and this is really irritating. A good website with exciting content, that is what I need. Thank you for making this website, and I will be visiting again. Do you do newsletters by email? Hiya, I’m really glad I’ve found this information. Nowadays bloggers publish just about gossip and internet stuff and this is really frustrating. A good site with interesting content, this is what I need. Thanks for making this web site, and I will be visiting again. Do you do newsletters by email? Hello there. I found your site by means of Google even as looking for a similar topic, your web site came up. It appears to be great. I’ve bookmarked it in my google bookmarks to come back then. Hi there, You’ve done an incredible job. I will definitely digg it and individually recommend to my friends. I am sure they’ll be benefited from this site. Hiya, I’m really glad I have found this information. Today bloggers publish only about gossip and web stuff and this is actually frustrating. A good blog with interesting content, this is what I need. Thank you for making this site, and I will be visiting again. Do you do newsletters by email? Hi there. I found your web site by the use of Google whilst searching for a similar matter, your site got here up. It looks great. I’ve bookmarked it in my google bookmarks to visit then. Hey there. I found your web site by way of Google even as looking for a similar subject, your website got here up. It seems to be great. I have bookmarked it in my google bookmarks to visit then. Hey there. I discovered your web site by way of Google whilst looking for a comparable matter, your website got here up. It appears good. I have bookmarked it in my google bookmarks to visit then. Hiya, I am really glad I’ve found this info. Today bloggers publish only about gossip and internet stuff and this is really annoying. A good site with exciting content, that is what I need. Thank you for making this site, and I will be visiting again. Do you do newsletters by email? Hiya, I am really glad I’ve found this information. Nowadays bloggers publish only about gossip and internet stuff and this is actually annoying. A good website with exciting content, this is what I need. Thanks for making this site, and I will be visiting again. Do you do newsletters by email? Hey there. I found your blog by means of Google while searching for a comparable subject, your site got here up. It looks great. I’ve bookmarked it in my google bookmarks to visit then. Hi there. I found your website via Google at the same time as looking for a similar topic, your web site came up. It appears good. I have bookmarked it in my google bookmarks to come back then. Hiya, I am really glad I’ve found this information. Today bloggers publish just about gossip and internet stuff and this is actually frustrating. A good site with exciting content, this is what I need. Thank you for making this website, and I will be visiting again. Do you do newsletters by email? Hey there. I discovered your website by the use of Google whilst searching for a related matter, your site got here up. It seems to be good. I have bookmarked it in my google bookmarks to come back then. Hey there. I found your blog via Google at the same time as searching for a related matter, your website came up. It seems good. I’ve bookmarked it in my google bookmarks to visit then. Hiya, I am really glad I have found this information. Today bloggers publish just about gossip and net stuff and this is really annoying. A good blog with exciting content, that is what I need. Thanks for making this site, and I’ll be visiting again. Do you do newsletters by email? Hey there. I found your website via Google at the same time as searching for a similar subject, your web site got here up. It appears to be good. I’ve bookmarked it in my google bookmarks to visit then. Hiya, I am really glad I have found this information. Nowadays bloggers publish just about gossip and net stuff and this is really annoying. A good website with exciting content, this is what I need. Thank you for making this web site, and I will be visiting again. Do you do newsletters by email? Hi there. I discovered your site via Google whilst searching for a similar subject, your site came up. It appears good. I’ve bookmarked it in my google bookmarks to come back then. Hello there. I found your site via Google even as looking for a similar topic, your site got here up. It appears good. I have bookmarked it in my google bookmarks to visit then. Hey there. I discovered your site by the use of Google even as searching for a similar matter, your website got here up. It seems good. I have bookmarked it in my google bookmarks to visit then. Hiya, I am really glad I’ve found this info. Nowadays bloggers publish just about gossip and web stuff and this is really annoying. A good site with interesting content, that is what I need. Thanks for making this site, and I’ll be visiting again. Do you do newsletters by email? Hi there. I discovered your site by means of Google while searching for a related matter, your website came up. It appears great. I’ve bookmarked it in my google bookmarks to visit then. Thank you for some other informative site. Where else may I am getting that type of info written in such a perfect method? I’ve a project that I’m simply now operating on, and I have been on the glance out for such information. Thank you a bunch for sharing this with all people you actually know what you’re talking approximately! Bookmarked. Please additionally discuss with my website =). We can have a link alternate contract between us! Hiya, I am really glad I’ve found this info. Nowadays bloggers publish just about gossip and internet stuff and this is really annoying. A good blog with interesting content, this is what I need. Thank you for making this website, and I will be visiting again. Do you do newsletters by email? Hiya, I am really glad I’ve found this information. Nowadays bloggers publish just about gossip and net stuff and this is actually annoying. A good blog with interesting content, this is what I need. Thank you for making this site, and I will be visiting again. Do you do newsletters by email? Hi there. I found your web site by way of Google whilst looking for a related subject, your website came up. It seems great. I’ve bookmarked it in my google bookmarks to come back then. Hiya, I am really glad I’ve found this information. Nowadays bloggers publish only about gossip and internet stuff and this is really annoying. A good web site with exciting content, this is what I need. Thank you for making this site, and I will be visiting again. Do you do newsletters by email? Hi there. I discovered your blog by way of Google even as searching for a related topic, your web site came up. It seems good. I have bookmarked it in my google bookmarks to come back then. Hiya, I’m really glad I’ve found this info. Today bloggers publish just about gossip and internet stuff and this is actually frustrating. A good web site with interesting content, that is what I need. Thanks for making this website, and I’ll be visiting again. Do you do newsletters by email? Hiya, I’m really glad I have found this information. Nowadays bloggers publish only about gossip and internet stuff and this is actually frustrating. A good blog with exciting content, this is what I need. Thank you for making this web-site, and I will be visiting again. Do you do newsletters by email? Hi there. I found your site via Google while searching for a similar subject, your site came up. It looks great. I’ve bookmarked it in my google bookmarks to visit then. Hiya, I’m really glad I have found this information. Nowadays bloggers publish just about gossip and net stuff and this is really irritating. A good website with interesting content, this is what I need. Thanks for making this website, and I will be visiting again. Do you do newsletters by email? Hiya, I’m really glad I’ve found this information. Today bloggers publish only about gossip and net stuff and this is actually annoying. A good site with interesting content, that is what I need. Thanks for making this web-site, and I’ll be visiting again. Do you do newsletters by email? Hey there. I discovered your site by means of Google even as searching for a similar matter, your web site came up. It appears to be great. I’ve bookmarked it in my google bookmarks to visit then. Hiya, I’m really glad I have found this information. Today bloggers publish just about gossip and internet stuff and this is actually annoying. A good blog with exciting content, this is what I need. Thanks for making this web site, and I will be visiting again. Do you do newsletters by email? Hi there. I found your web site by way of Google at the same time as searching for a comparable matter, your site came up. It seems to be great. I’ve bookmarked it in my google bookmarks to visit then. Hello there. I discovered your blog by the use of Google at the same time as looking for a similar matter, your website got here up. It appears to be good. I have bookmarked it in my google bookmarks to come back then. Hey there. I discovered your web site by way of Google while looking for a similar subject, your web site got here up. It appears to be great. I have bookmarked it in my google bookmarks to visit then. Hi there. I discovered your website by means of Google while searching for a similar topic, your site got here up. It seems good. I have bookmarked it in my google bookmarks to visit then. Hiya, I am really glad I’ve found this info. Today bloggers publish just about gossip and net stuff and this is actually frustrating. A good web site with exciting content, that’s what I need. Thanks for making this web site, and I will be visiting again. Do you do newsletters by email? Hiya, I’m really glad I’ve found this information. Today bloggers publish only about gossip and internet stuff and this is really frustrating. A good site with interesting content, this is what I need. Thanks for making this web site, and I’ll be visiting again. Do you do newsletters by email? Hello there. I discovered your website by way of Google whilst searching for a related topic, your site got here up. It seems to be good. I’ve bookmarked it in my google bookmarks to visit then. I simply want to mention I am newbie to weblog and honestly liked this web-site. Most likely I’m going to bookmark your website . You surely have beneficial well written articles. Thanks a bunch for sharing with us your webpage. Thanks for some other great post. The place else may anybody get that kind of information in such a perfect manner of writing? I have a presentation next week, and I’m at the look for such information. Hi there. I discovered your web site by way of Google even as looking for a comparable matter, your web site got here up. It looks great. I’ve bookmarked it in my google bookmarks to come back then. Hiya, I am really glad I have found this info. Nowadays bloggers publish just about gossip and web stuff and this is really irritating. A good web site with exciting content, this is what I need. Thank you for making this website, and I’ll be visiting again. Do you do newsletters by email? Hi there. I found your site by way of Google even as searching for a similar topic, your website got here up. It appears good. I have bookmarked it in my google bookmarks to come back then. Hey there. I discovered your site by way of Google while looking for a similar matter, your site got here up. It seems to be good. I have bookmarked it in my google bookmarks to visit then. you are in reality a good webmaster. The website loading pace is incredible. It seems that you are doing any unique trick. Furthermore, The contents are masterwork. you’ve performed a magnificent task on this matter! I am glad for commenting to make you know what a nice experience our child enjoyed checking your blog. She picked up many things, which included how it is like to have a great teaching style to make many others very easily completely grasp various impossible topics. You actually surpassed our own expectations. Thank you for rendering these beneficial, trusted, informative and also easy thoughts on the topic to Sandra. I have been examinating out a few of your stories and it’s pretty clever stuff. I will surely bookmark your website. Hi, Neat post. There’s a problem with your web site in internet explorer, could check this¡K IE still is the market chief and a large component to folks will omit your fantastic writing due to this problem. I do trust all the ideas you’ve introduced in your post. They are really convincing and can certainly work. Still, the posts are too quick for newbies. May you please lengthen them a bit from next time? Thank you for the post. Good ¡V I should definitely pronounce, impressed with your website. I had no trouble navigating through all the tabs and related information ended up being truly easy to do to access. I recently found what I hoped for before you know it at all. Reasonably unusual. Is likely to appreciate it for those who add forums or something, website theme . a tones way for your client to communicate. Excellent task.. Simply want to say your article is as surprising. The clarity in your post is simply cool and i can assume you’re an expert on this subject. Fine with your permission allow me to grab your RSS feed to keep up to date with forthcoming post. Thanks a million and please keep up the rewarding work. Wow, amazing blog layout! How long have you ever been running a blog for? you make blogging look easy. The whole look of your website is great, let alone the content! Hi there. I found your web site by way of Google even as searching for a similar topic, your website came up. It appears good. I have bookmarked it in my google bookmarks to come back then. Very efficiently written post. It will be supportive to everyone who utilizes it, as well as me. Keep doing what you are doing – i will definitely read more posts. Hey there. I discovered your blog by means of Google while searching for a similar matter, your site got here up. It looks great. I have bookmarked it in my google bookmarks to visit then. Hi there. I discovered your website by means of Google while looking for a comparable topic, your site got here up. It appears to be good. I’ve bookmarked it in my google bookmarks to visit then. Hey there. I discovered your website by means of Google while looking for a related topic, your web site came up. It appears great. I’ve bookmarked it in my google bookmarks to come back then. Hey there. I discovered your blog by means of Google while looking for a related subject, your web site got here up. It looks great. I have bookmarked it in my google bookmarks to visit then. Hiya, I am really glad I’ve found this information. Today bloggers publish just about gossip and internet stuff and this is actually irritating. A good blog with exciting content, this is what I need. Thanks for making this web site, and I’ll be visiting again. Do you do newsletters by email? Hiya, I’m really glad I have found this information. Today bloggers publish only about gossip and web stuff and this is really irritating. A good site with exciting content, this is what I need. Thanks for making this web-site, and I will be visiting again. Do you do newsletters by email? Hello there. I discovered your blog via Google whilst searching for a comparable topic, your web site came up. It seems good. I have bookmarked it in my google bookmarks to come back then. Hiya, I am really glad I have found this info. Nowadays bloggers publish only about gossip and net stuff and this is actually annoying. A good website with interesting content, that’s what I need. Thank you for making this web-site, and I’ll be visiting again. Do you do newsletters by email? Hiya, I’m really glad I’ve found this information. Today bloggers publish only about gossip and web stuff and this is really frustrating. A good website with interesting content, this is what I need. Thanks for making this website, and I’ll be visiting again. Do you do newsletters by email? Hi there. I discovered your web site by the use of Google whilst searching for a similar topic, your site came up. It appears to be good. I have bookmarked it in my google bookmarks to come back then. Hey there. I found your web site via Google while looking for a similar matter, your site came up. It appears to be great. I’ve bookmarked it in my google bookmarks to visit then. Hey there. I found your web site by the use of Google even as looking for a comparable subject, your web site got here up. It seems good. I have bookmarked it in my google bookmarks to come back then. Thanks a bunch for sharing this with all folks you actually realize what you’re talking about! Bookmarked. Please additionally seek advice from my website =). We can have a hyperlink trade agreement among us! I have been surfing on-line more than 3 hours today, but I never discovered any fascinating article like yours. It is lovely price sufficient for me. In my view, if all web owners and bloggers made good content material as you probably did, the internet shall be a lot more useful than ever before. Hi there. I discovered your web site via Google even as searching for a related matter, your site got here up. It appears to be great. I have bookmarked it in my google bookmarks to come back then. I have to point out my appreciation for your kindness supporting folks that actually need assistance with this particular content. Your personal commitment to passing the solution around has been extremely effective and have usually made workers much like me to attain their targets. This warm and friendly information indicates a whole lot a person like me and further more to my peers. Warm regards; from all of us. Hiya, I am really glad I’ve found this info. Today bloggers publish only about gossip and internet stuff and this is actually irritating. A good web site with exciting content, that is what I need. Thank you for making this site, and I’ll be visiting again. Do you do newsletters by email? Hiya, I’m really glad I’ve found this info. Nowadays bloggers publish just about gossip and web stuff and this is really annoying. A good web site with interesting content, that is what I need. Thank you for making this website, and I’ll be visiting again. Do you do newsletters by email? Hiya, I’m really glad I’ve found this information. Today bloggers publish just about gossip and internet stuff and this is actually annoying. A good site with interesting content, that’s what I need. Thank you for making this site, and I’ll be visiting again. Do you do newsletters by email? Hello there. I discovered your web site via Google even as looking for a comparable subject, your website came up. It appears great. I have bookmarked it in my google bookmarks to come back then. Hey there. I discovered your website by the use of Google at the same time as looking for a comparable topic, your website got here up. It looks good. I’ve bookmarked it in my google bookmarks to come back then. Hiya, I’m really glad I’ve found this info. Today bloggers publish only about gossip and internet stuff and this is really irritating. A good web site with exciting content, that is what I need. Thank you for making this web-site, and I will be visiting again. Do you do newsletters by email? Hiya, I’m really glad I have found this information. Today bloggers publish just about gossip and internet stuff and this is actually annoying. A good website with interesting content, this is what I need. Thank you for making this web site, and I will be visiting again. Do you do newsletters by email? Hey there. I found your site by way of Google at the same time as looking for a comparable subject, your site got here up. It seems to be great. I’ve bookmarked it in my google bookmarks to come back then. Hiya, I’m really glad I have found this info. Today bloggers publish only about gossip and internet stuff and this is really irritating. A good web site with interesting content, this is what I need. Thanks for making this site, and I’ll be visiting again. Do you do newsletters by email? Hiya, I’m really glad I have found this information. Nowadays bloggers publish only about gossip and net stuff and this is really annoying. A good blog with interesting content, that is what I need. Thanks for making this site, and I’ll be visiting again. Do you do newsletters by email? Hiya, I’m really glad I’ve found this info. Today bloggers publish just about gossips and web and this is really frustrating. A good web site with exciting content, that’s what I need. Thanks for keeping this web site, I’ll be visiting it. Do you do newsletters? Can not find it. Magnificent goods from you, man. I have understand your stuff previous to and you are just extremely fantastic. I actually like what you have acquired here, certainly like what you are saying and the way in which you say it. You make it enjoyable and you still take care of to keep it smart. I can not wait to read far more from you. This is actually a wonderful website. I have learn several just right stuff here. Certainly worth bookmarking for revisiting. I wonder how so much effort you put to create one of these fantastic informative web site. Thanks for some other wonderful post. The place else may anybody get that type of information in such a perfect means of writing? I’ve a presentation next week, and I’m on the search for such info. I needed to write you a tiny note to help give thanks again on your wonderful secrets you have shared in this article. It’s certainly open-handed with you to offer unhampered precisely what a few individuals might have advertised as an e book to help make some money for themselves, primarily now that you could have done it in the event you decided. The thoughts also worked to become a great way to be aware that some people have similar keenness just as mine to figure out much more related to this issue. I think there are thousands of more enjoyable instances ahead for many who read carefully your blog. It is in reality a nice and useful piece of information. I am satisfied that you simply shared this helpful info with us. Please stay us informed like this. Thank you for sharing. Good blog! I really love how it is easy on my eyes and the data are well written. I’m wondering how I might be notified whenever a new post has been made. I’ve subscribed to your RSS which must do the trick! Have a nice day! I¡¦ve been exploring for a little bit for any high quality articles or weblog posts on this sort of space . Exploring in Yahoo I eventually stumbled upon this site. Studying this info So i¡¦m glad to convey that I have an incredibly good uncanny feeling I discovered exactly what I needed. I most certainly will make certain to do not disregard this site and provides it a glance on a constant basis. You actually make it appear really easy with your presentation but I in finding this matter to be actually one thing which I feel I would by no means understand. It seems too complex and extremely large for me. I am looking forward for your next post, I will try to get the hold of it! Somebody essentially help to make severely articles I might state. That is the first time I frequented your web page and up to now? I surprised with the analysis you made to create this actual post incredible. Fantastic task! Thanks for sharing superb informations. Your web site is very cool. I am impressed by the details that you have on this web site. It reveals how nicely you perceive this subject. Bookmarked this website page, will come back for more articles. You, my friend, ROCK! I found just the information I already searched everywhere and simply could not come across. What a great site. Hiya, I’m really glad I have found this info. Today bloggers publish only about gossip and internet stuff and this is actually annoying. A good web site with interesting content, that’s what I need. Thank you for making this website, and I’ll be visiting again. Do you do newsletters by email? Hi there. I discovered your blog by the use of Google even as looking for a comparable subject, your website got here up. It appears to be good. I have bookmarked it in my google bookmarks to come back then. Hi there. I found your site by the use of Google whilst looking for a comparable matter, your site got here up. It appears to be good. I have bookmarked it in my google bookmarks to visit then. Hello there. I discovered your web site by means of Google even as looking for a related topic, your web site got here up. It appears to be great. I’ve bookmarked it in my google bookmarks to visit then. you’re really a just right webmaster. The site loading speed is incredible. It sort of feels that you’re doing any unique trick. Moreover, The contents are masterwork. you have performed a fantastic process in this topic! Hi there. I discovered your web site by means of Google while searching for a comparable subject, your web site came up. It looks good. I have bookmarked it in my google bookmarks to visit then. Hiya, I am really glad I have found this info. Nowadays bloggers publish just about gossip and net stuff and this is actually annoying. A good site with exciting content, this is what I need. Thank you for making this site, and I’ll be visiting again. Do you do newsletters by email? hello there and thank you for your information – I’ve definitely picked up something new from right here. I did however expertise a few technical issues using this site, as I experienced to reload the site lots of times previous to I could get it to load properly. I had been wondering if your web host is OK? Not that I am complaining, but sluggish loading instances times will sometimes affect your placement in google and could damage your high-quality score if advertising and marketing with Adwords. Well I am adding this RSS to my email and can look out for much more of your respective interesting content. Ensure that you update this again soon..
Hey there. I found your web site by means of Google even as looking for a comparable matter, your site got here up. It seems good. I have bookmarked it in my google bookmarks to visit then. Hi there. I discovered your website by means of Google even as searching for a similar topic, your web site got here up. It appears good. I’ve bookmarked it in my google bookmarks to visit then. I enjoy you because of each of your efforts on this site. My mother take interest in getting into research and it is obvious why. Almost all hear all about the compelling way you give worthwhile steps through this blog and boost response from visitors on the matter so our own child has always been discovering a great deal. Enjoy the remaining portion of the new year. You have been performing a tremendous job. Hello there. I found your blog by way of Google while looking for a related subject, your web site got here up. It appears to be good. I’ve bookmarked it in my google bookmarks to visit then. Hey there. I discovered your website by means of Google whilst searching for a comparable subject, your web site came up. It appears good. I’ve bookmarked it in my google bookmarks to visit then. Hello there. I discovered your web site by way of Google whilst looking for a related matter, your web site came up. It seems good. I’ve bookmarked it in my google bookmarks to visit then. Hello there. I discovered your website by the use of Google at the same time as looking for a related topic, your website got here up. It seems to be great. I have bookmarked it in my google bookmarks to visit then. Hi my friend! I want to say that this post is amazing, nice written and include almost all important infos. I¡¦d like to see extra posts like this . I want to express my thanks to you just for bailing me out of this type of difficulty. As a result of looking out throughout the world wide web and finding ways which are not helpful, I was thinking my life was done. Being alive without the presence of approaches to the problems you’ve fixed as a result of your main short post is a serious case, and those which might have in a negative way damaged my entire career if I hadn’t come across your web blog. Your good expertise and kindness in controlling the whole thing was vital. I am not sure what I would’ve done if I had not discovered such a point like this. I can now relish my future. Thanks so much for the professional and results-oriented guide. I will not be reluctant to endorse the sites to any person who should get guidelines on this subject. I precisely needed to thank you very much again. I do not know what I would’ve gone through without the entire tips discussed by you on that industry. It was before a real fearsome condition in my position, nevertheless encountering a new professional strategy you processed it made me to weep for fulfillment. Now i’m happy for this advice and as well , trust you really know what a powerful job that you’re providing educating others using your web page. Most probably you’ve never got to know any of us. whoah this blog is magnificent i like studying your posts. Keep up the great paintings! You already know, a lot of persons are hunting round for this info, you could aid them greatly. Wonderful web site. Lots of helpful info here. I¡¦m sending it to a few buddies ans also sharing in delicious. And of course, thank you for your sweat! Hi there. I discovered your web site by way of Google whilst looking for a related subject, your website got here up. It seems to be great. I’ve bookmarked it in my google bookmarks to come back then. Good ¡V I should certainly pronounce, impressed with your site. I had no trouble navigating through all tabs as well as related info ended up being truly simple to do to access. I recently found what I hoped for before you know it in the least. Reasonably unusual. Is likely to appreciate it for those who add forums or something, web site theme . a tones way for your client to communicate. Excellent task..
Hiya, I’m really glad I have found this info. Nowadays bloggers publish only about gossip and net stuff and this is really annoying. A good website with interesting content, that’s what I need. Thanks for making this web site, and I will be visiting again. Do you do newsletters by email? You really make it seem so easy along with your presentation however I to find this matter to be really one thing which I believe I might by no means understand. It kind of feels too complicated and extremely huge for me. I’m taking a look ahead in your subsequent submit, I will attempt to get the hold of it! My wife and i got fortunate Edward could finish up his inquiry because of the ideas he had out of your weblog. It is now and again perplexing to simply happen to be giving freely secrets which often many others could have been trying to sell. And we grasp we’ve got you to appreciate for this. Those explanations you made, the straightforward website menu, the relationships your site make it possible to promote – it is everything excellent, and it’s really leading our son in addition to the family imagine that this content is exciting, and that is unbelievably pressing. Thank you for all the pieces! Needed to send you that very little note to finally thank you so much over again regarding the stunning opinions you’ve contributed on this website. It’s so incredibly generous of you to offer unreservedly what a few individuals could have marketed as an ebook to help with making some money for themselves, notably seeing that you might have done it if you decided. Those inspiring ideas likewise acted as a good way to know that other people have the identical eagerness like my own to understand more around this issue. Certainly there are many more enjoyable occasions ahead for people who examine your blog post. Hiya, I’m really glad I have found this information. Today bloggers publish just about gossip and net stuff and this is actually annoying. A good web site with interesting content, that is what I need. Thank you for making this website, and I will be visiting again. Do you do newsletters by email? Wonderful site. A lot of useful info here. I¡¦m sending it to a few buddies ans also sharing in delicious. And of course, thanks to your effort! Hi there. I found your web site by the use of Google at the same time as looking for a related topic, your web site got here up. It seems good. I have bookmarked it in my google bookmarks to visit then. Hiya, I’m really glad I have found this info. Nowadays bloggers publish just about gossip and net stuff and this is actually frustrating. A good site with exciting content, this is what I need. Thanks for making this web-site, and I’ll be visiting again. Do you do newsletters by email? Hiya, I am really glad I’ve found this info. Today bloggers publish just about gossip and web stuff and this is actually irritating. A good website with interesting content, that’s what I need. Thanks for making this site, and I will be visiting again. Do you do newsletters by email? Hiya, I’m really glad I have found this information. Nowadays bloggers publish just about gossip and internet stuff and this is actually irritating. A good website with exciting content, that is what I need. Thanks for making this site, and I’ll be visiting again. Do you do newsletters by email? Hello there. I discovered your blog by way of Google whilst looking for a similar subject, your website came up. It appears great. I’ve bookmarked it in my google bookmarks to come back then. Hiya, I’m really glad I’ve found this info. Nowadays bloggers publish just about gossip and internet stuff and this is actually frustrating. A good website with interesting content, that is what I need. Thank you for making this website, and I will be visiting again. Do you do newsletters by email? Hiya, I’m really glad I have found this information. Nowadays bloggers publish just about gossip and net stuff and this is actually annoying. A good website with interesting content, that’s what I need. Thank you for making this web-site, and I will be visiting again. Do you do newsletters by email? Amazing! Its truly amazing post, I have got much clear idea on the topic of from this piece of writing. Hiya, I am really glad I’ve found this info. Nowadays bloggers publish only about gossip and net stuff and this is really frustrating. A good web site with exciting content, that’s what I need. Thank you for making this website, and I will be visiting again. Do you do newsletters by email? Hiya, I am really glad I have found this info. Today bloggers publish just about gossip and internet stuff and this is really irritating. A good website with exciting content, this is what I need. Thanks for making this website, and I’ll be visiting again. Do you do newsletters by email? Hey there. I discovered your web site by means of Google whilst searching for a comparable matter, your site got here up. It appears great. I’ve bookmarked it in my google bookmarks to visit then. Hey there. I found your site via Google even as searching for a comparable topic, your website got here up. It appears to be good. I’ve bookmarked it in my google bookmarks to come back then. I am no longer sure where you’re getting your info, but good topic. I must spend some time studying much more or figuring out more. Thank you for excellent information I was searching for this info for my mission. Hiya, I’m really glad I have found this information. Today bloggers publish only about gossip and internet stuff and this is actually frustrating. A good blog with interesting content, this is what I need. Thanks for making this web site, and I’ll be visiting again. Do you do newsletters by email? Hey there. I discovered your website by the use of Google even as searching for a comparable matter, your web site got here up. It seems to be great. I have bookmarked it in my google bookmarks to come back then. Hello there. I discovered your web site by means of Google at the same time as searching for a comparable matter, your website got here up. It seems to be good. I have bookmarked it in my google bookmarks to visit then. Hey there. I discovered your site by the use of Google at the same time as looking for a comparable subject, your site got here up. It looks great. I have bookmarked it in my google bookmarks to come back then. Hiya, I am really glad I have found this info. Today bloggers publish only about gossip and net stuff and this is really frustrating. A good web site with exciting content, that’s what I need. Thank you for making this site, and I’ll be visiting again. Do you do newsletters by email? Hiya, I am really glad I’ve found this info. Today bloggers publish only about gossip and net stuff and this is really annoying. A good blog with interesting content, that’s what I need. Thanks for making this site, and I will be visiting again. Do you do newsletters by email? Hey there. I discovered your website via Google even as searching for a similar matter, your web site got here up. It appears to be great. I have bookmarked it in my google bookmarks to come back then. Hiya, I’m really glad I have found this info. Nowadays bloggers publish just about gossip and internet stuff and this is actually irritating. A good website with exciting content, this is what I need. Thanks for making this web-site, and I will be visiting again. Do you do newsletters by email? Hiya, I am really glad I have found this information. Nowadays bloggers publish only about gossip and web stuff and this is actually frustrating. A good website with exciting content, that’s what I need. Thanks for making this web-site, and I will be visiting again. Do you do newsletters by email? Hiya, I am really glad I’ve found this information. Today bloggers publish just about gossip and web stuff and this is actually annoying. A good website with exciting content, that is what I need. Thank you for making this web-site, and I’ll be visiting again. Do you do newsletters by email? Hiya, I am really glad I have found this info. Today bloggers publish only about gossip and net stuff and this is actually annoying. A good web site with exciting content, this is what I need. Thank you for making this web-site, and I’ll be visiting again. Do you do newsletters by email? Hiya, I’m really glad I have found this information. Today bloggers publish only about gossip and internet stuff and this is really annoying. A good website with interesting content, that is what I need. Thank you for making this website, and I’ll be visiting again. Do you do newsletters by email? Hiya, I am really glad I’ve found this info. Nowadays bloggers publish only about gossip and net stuff and this is actually frustrating. A good blog with exciting content, this is what I need. Thank you for making this web site, and I’ll be visiting again. Do you do newsletters by email? Hiya, I’m really glad I have found this information. Nowadays bloggers publish just about gossip and net stuff and this is really annoying. A good website with interesting content, that is what I need. Thanks for making this website, and I will be visiting again. Do you do newsletters by email? Hi there. I found your website by the use of Google at the same time as looking for a similar subject, your site got here up. It appears to be great. I’ve bookmarked it in my google bookmarks to come back then. Hello there. I discovered your web site by means of Google even as looking for a similar subject, your website came up. It appears to be good. I have bookmarked it in my google bookmarks to visit then. Hello there. I discovered your website by way of Google whilst searching for a similar matter, your site got here up. It appears to be good. I’ve bookmarked it in my google bookmarks to visit then. Normally I don’t learn post on blogs, but I wish to say that this write-up very pressured me to check out and do so! Your writing style has been surprised me. Thanks, very great article. I have 3 blog sites on tumblr under the exact same email address. Just how do I delete among those blogs without erasing the various other two?. Preferably, I ‘d such as someone to answer whom has actually experienced this problem before and resolved it without removing their various other blog sites. Thanks!. Hey there. I found your website by way of Google while looking for a comparable matter, your web site got here up. It seems to be great. I’ve bookmarked it in my google bookmarks to visit then. I simply desired to say thanks again. I’m not certain the things that I might have taken care of without those concepts contributed by you directly on this problem. Previously it was a depressing condition in my circumstances, nevertheless viewing the well-written strategy you treated that forced me to weep for joy. Extremely happier for your service and as well , trust you really know what a great job you are always getting into instructing men and women through your blog. I am certain you haven’t got to know all of us. Just want to say your article is as astounding. The clearness in your post is just spectacular and i could assume you’re an expert on this subject. Fine with your permission let me to grab your RSS feed to keep up to date with forthcoming post. Thanks a million and please continue the rewarding work. I would like to thank you for the efforts you have put in writing this blog. I’m hoping the same high-grade site post from you in the upcoming as well. In fact your creative writing skills has inspired me to get my own blog now. Really the blogging is spreading its wings quickly. Your write up is a great example of it. Hey there. I found your website by means of Google even as searching for a related matter, your web site came up. It looks great. I’ve bookmarked it in my google bookmarks to visit then. Thank you a bunch for sharing this with all people you really recognise what you’re talking about! Bookmarked. Kindly also consult with my site =). We could have a link exchange arrangement between us! Hello there. I discovered your web site by means of Google whilst looking for a related subject, your site came up. It appears great. I have bookmarked it in my google bookmarks to visit then. Hiya, I’m really glad I have found this information. Nowadays bloggers publish only about gossip and internet stuff and this is actually frustrating. A good website with exciting content, that is what I need. Thanks for making this site, and I will be visiting again. Do you do newsletters by email? I obtained 2 networked blog site setup of a solitary blog site in facebook. I wish to delete of them. Exists any type of means to remove only one networked blog keeping the an additional as it is?. Hello there. I discovered your blog by way of Google while searching for a comparable topic, your site got here up. It seems to be good. I’ve bookmarked it in my google bookmarks to visit then. Hiya, I’m really glad I’ve found this information. Nowadays bloggers publish just about gossip and net stuff and this is really irritating. A good website with interesting content, that is what I need. Thank you for making this website, and I will be visiting again. Do you do newsletters by email? Hiya, I am really glad I’ve found this info. Today bloggers publish only about gossip and internet stuff and this is actually annoying. A good website with exciting content, that is what I need. Thanks for making this site, and I will be visiting again. Do you do newsletters by email? Hi there. I discovered your web site by means of Google while looking for a comparable matter, your web site came up. It seems great. I’ve bookmarked it in my google bookmarks to come back then. Hiya, I am really glad I’ve found this information. Nowadays bloggers publish only about gossip and net stuff and this is actually irritating. A good site with exciting content, this is what I need. Thanks for making this web site, and I will be visiting again. Do you do newsletters by email? Hey there. I discovered your site by way of Google at the same time as searching for a similar matter, your site came up. It appears to be great. I’ve bookmarked it in my google bookmarks to visit then. Hey there. I discovered your blog by the use of Google while searching for a related topic, your website got here up. It appears great. I’ve bookmarked it in my google bookmarks to come back then. Hi there. I discovered your website by way of Google at the same time as searching for a related topic, your web site got here up. It appears to be good. I have bookmarked it in my google bookmarks to visit then. Hi there. I discovered your web site via Google while looking for a related subject, your website got here up. It appears to be good. I have bookmarked it in my google bookmarks to come back then. Hi there. I discovered your site by means of Google even as looking for a related matter, your site came up. It seems good. I have bookmarked it in my google bookmarks to visit then. Hiya, I am really glad I have found this info. Nowadays bloggers publish only about gossip and web stuff and this is actually irritating. A good website with exciting content, this is what I need. Thank you for making this web site, and I’ll be visiting again. Do you do newsletters by email? Hi there. I found your site by means of Google even as searching for a related subject, your site got here up. It seems good. I have bookmarked it in my google bookmarks to come back then. Hiya, I’m really glad I’ve found this information. Today bloggers publish just about gossip and web stuff and this is really frustrating. A good blog with exciting content, that is what I need. Thank you for making this web site, and I will be visiting again. Do you do newsletters by email? Hi there. I discovered your blog by means of Google whilst searching for a similar topic, your site came up. It seems great. I have bookmarked it in my google bookmarks to visit then. Hiya, I am really glad I’ve found this information. Today bloggers publish just about gossip and net stuff and this is really frustrating. A good website with exciting content, this is what I need. Thank you for making this website, and I will be visiting again. Do you do newsletters by email? Hiya, I am really glad I have found this information. Today bloggers publish just about gossip and net stuff and this is actually frustrating. A good web site with interesting content, that’s what I need. Thank you for making this website, and I’ll be visiting again. Do you do newsletters by email? Hiya, I’m really glad I’ve found this information. Today bloggers publish just about gossip and net stuff and this is actually frustrating. A good web site with exciting content, this is what I need. Thank you for making this website, and I’ll be visiting again. Do you do newsletters by email? Hello there. I found your website by way of Google at the same time as looking for a comparable subject, your web site got here up. It appears to be good. I’ve bookmarked it in my google bookmarks to visit then. Hello there. I found your website by the use of Google while searching for a similar topic, your site came up. It appears good. I have bookmarked it in my google bookmarks to visit then. Hello there. I discovered your site by way of Google even as searching for a similar matter, your web site got here up. It seems good. I’ve bookmarked it in my google bookmarks to visit then. Hiya, I am really glad I’ve found this info. Nowadays bloggers publish only about gossip and internet stuff and this is actually frustrating. A good blog with exciting content, that is what I need. Thanks for making this web-site, and I’ll be visiting again. Do you do newsletters by email? Hi there. I discovered your website by means of Google at the same time as looking for a comparable subject, your website came up. It appears to be good. I’ve bookmarked it in my google bookmarks to visit then. Hi there. I found your site by way of Google at the same time as looking for a related matter, your web site got here up. It appears to be great. I’ve bookmarked it in my google bookmarks to visit then. Hiya, I’m really glad I’ve found this information. Nowadays bloggers publish just about gossips and web and this is really annoying. A good blog with exciting content, that’s what I need. Thank you for keeping this website, I’ll be visiting it. Do you do newsletters? Cant find it. Wow, incredible weblog format! How long have you been blogging for? you make running a blog glance easy. The entire look of your web site is excellent, let alone the content! It¡¦s in reality a nice and helpful piece of info. I am happy that you just shared this helpful information with us. Please keep us informed like this. Thanks for sharing. Hiya, I’m really glad I’ve found this information. Nowadays bloggers publish just about gossip and internet stuff and this is really annoying. A good website with interesting content, this is what I need. Thanks for making this web-site, and I will be visiting again. Do you do newsletters by email? Hello there. I found your website via Google even as looking for a related matter, your website came up. It appears to be great. I’ve bookmarked it in my google bookmarks to visit then. Hey there. I discovered your web site by way of Google even as looking for a similar matter, your website got here up. It appears great. I have bookmarked it in my google bookmarks to visit then. Hey there. I found your blog via Google even as looking for a related subject, your web site got here up. It appears to be good. I’ve bookmarked it in my google bookmarks to come back then. Hiya, I’m really glad I’ve found this info. Today bloggers publish only about gossip and internet stuff and this is really irritating. A good site with exciting content, that’s what I need. Thanks for making this website, and I’ll be visiting again. Do you do newsletters by email? Hiya, I’m really glad I have found this information. Today bloggers publish just about gossip and web stuff and this is actually annoying. A good blog with interesting content, this is what I need. Thanks for making this website, and I’ll be visiting again. Do you do newsletters by email? Thank you so much for giving everyone remarkably marvellous possiblity to check tips from this site. It really is very pleasurable and also stuffed with fun for me and my office peers to search the blog the equivalent of 3 times per week to study the latest guides you will have. Not to mention, I’m just certainly happy with all the tremendous creative concepts served by you. Certain 2 points on this page are completely the most beneficial I’ve had. Hiring Candidates for Dubai? Read this carefully before you start. All CAD Services Pvt. Ltd. is the product, web and mobile application development company to transform your business through the power of best enterprise IT solutions that comprises of the full range of product development, web development, mobile applications development and eCommerce development services. Whatever you envision for your business, we bring it into reality through brilliant minds and innovative use of technology. With over 12+ years of experience in the field of IT and enterprise solutions successfully delivered to world wide user, you can count on us and we will deliver it with innovation.